Was this expression used a lot by your parents while growing up? The importance of good, straight posture can’t be down played. However, by simply sitting up straight you will not correct structurally misaligned postures. Good posture really is the window to your spine. Given that these benefits are associated with good posture habits, who wouldn’t want to have good posture! Here at The Back Clinic, we meet patients who need help correcting postural problems, including sway back posture. 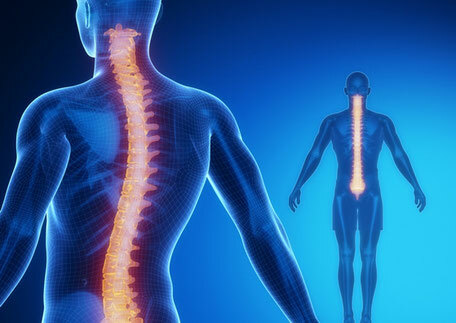 As chiropractors, we are well versed in the management of postural issues. Let’s explore this further. The common posture problems we see include sway back posture, lumbar lordosis, thoracic kyphosis and forward head posture. Over time, poor posture may increase your chances of developing a wide array of health problems. Odd postures put extra pressure and stress on your spine, shoulders, hips, and knees. 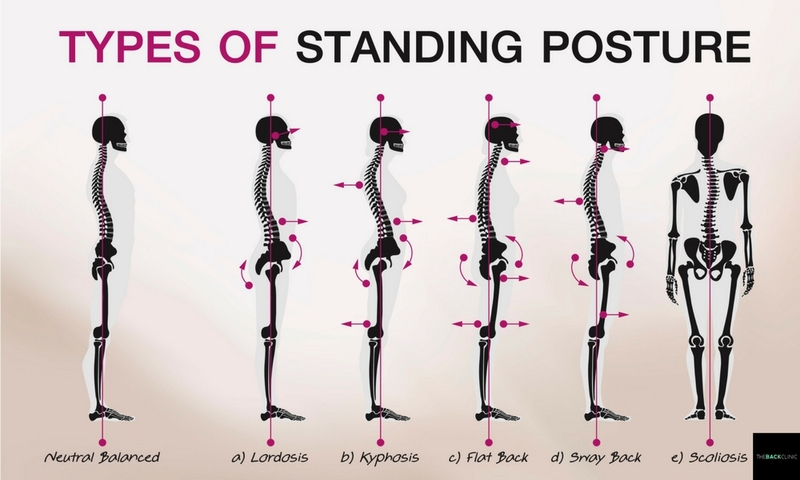 Can you relate to any of the postures in the image below? Also called hyperlordosis, a sway back exaggerates the curve of the lower back. When standing, the belly appears to sag forward and your pelvis tilts forward to compensate. As one part of your body shifts away from neutral, other parts of your body shift to compensate. 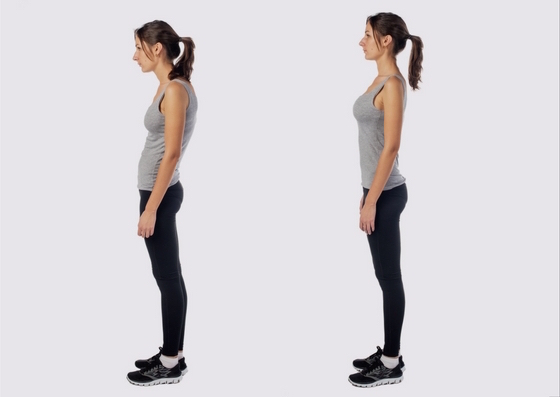 For example, a forward tilting pelvis may result in forward head posture, in what’s known as compensatory adaption. Each shift away from normal posture sets up new postural challenges. Avoid sleeping on your stomach and invest in a new, firm mattress. Have your workstation ergonomically assessed. Take up functional training or stretch classes that engage a wider variety of muscles compared to traditional gym training. Check out these tips on how you can improve your posture.